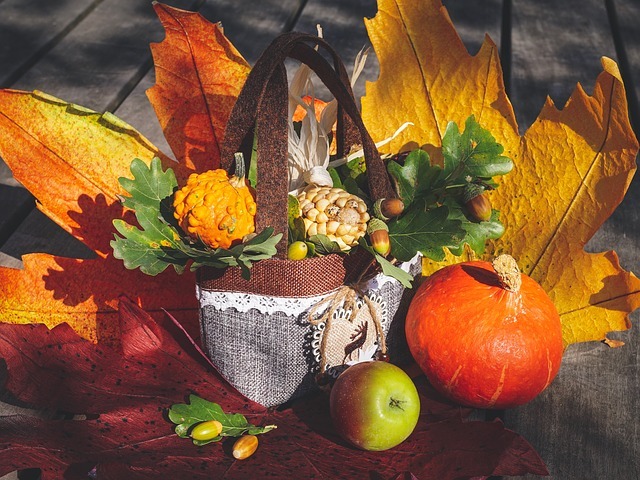 All three library locations will be closed on Thanksgiving - Thursday, November 22nd. The Dane County Law Library and the Milwaukee County Law Library will remain closed on Friday, November 23rd. 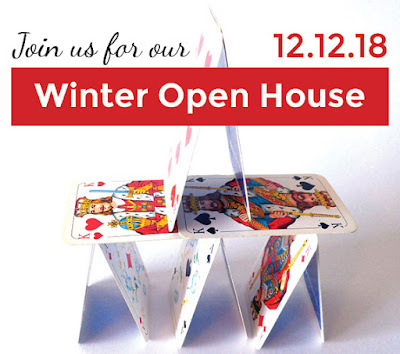 The David T. Prosser Jr. State Law Library will be open on Friday, November 23rd. Call the Reference Desk at 608-267-9696 and leave a voicemail, or Ask a Librarian online while we are closed. We will respond to you the next business day. 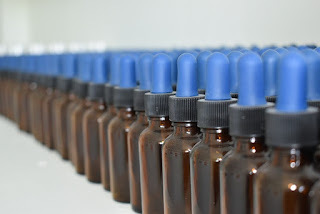 The sale and possession of CBD oil is a frequent question we get at the library. We've included several sources below to help you with your research. The WI Dept. of Agriculture, Trade, and Consumer Protection has information on the industrial hemp program on their Wisconsin DATCP Industrial Hemp Research Pilot Program website. This page includes FAQs and other information. Wisconsin statute 961.38 discusses cannabidiol. Read Wisconsin Legislative Council Act Memo: Possession of Cannabidoil (CBD) which affected possession and distribution of CBD and the act memo for 2017 Wisconsin Act 100 which relates to industrial hemp. The Wisconsin Controlled Substances Board administers sections of chapter 961 of the Wisconsin Statutes. On May 10, the Wisconsin Department of Justice released an updated statement on Wisconsin's industrial hemp pilot program and CBD oil. There are various enforcement and penalty provisions in chapter 961 of the Wisconsin Statutes for violation of that chapter. The US Department of Agriculture has a page on industrial hemp, which discusses section 7606 of the 2014 Farm Bill. Information on the pending 2018 Farm Bill, H.R. 2 can be found online. The National Conference of State Legislatures has an overview of other state industrial hemp statutes on their website. Tuesday, November 6th is the midterm election. If you're not registered yet then you can do so at the polls (or head to your municipal clerk's office before the end of the day today - Friday, November 2). All voters must provide a Proof of Residence document when registering to vote in-person in the clerk’s office, or at the polls on Election Day. In-person absentee voting days and hours depends on your city, village, or town. Check your municipal clerk's office for information on absentee voting days and hours. In-person absentee voting may extend through November 4. See your ballot, find your polling place, and check your voter registration status at https://myvote.wi.gov. The November issue of WSLL @ Your Service is now online. Your comments are welcome! Please direct them to the editor, Carol Hassler. Assembly and Senate journals can provide insight into past legislatures, as well as open a wonderful window to Wisconsin's history. The David T. Prosser Jr. Library - our main library - has the journals in microfiche from 1848-1995 and print journals from 1836-1927. 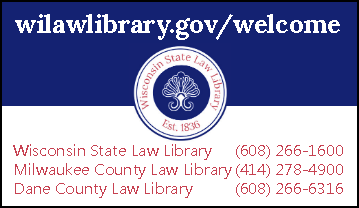 The Wisconsin State Law Library also provide easy online access from 1854-1981 to all of our library cardholders through LLMC Digital. LLMC Digital allows you to search the full text of Senate and Assembly journals, as well as browse through them by year and volume. The journals include roll call data, motions, votes, statements, and speeches on bills from each chamber. Older volumes may also include letters, committee reports, and financial records. Speeches and presentations preserved in the journals provide valuable insight into Wisconsin's past, such as this excerpt from the 1849 Senate Journal. 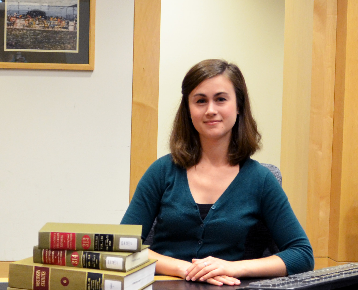 In this report from the State Library committee, F. A. Sprague makes the case for the addition of a law library to the State Library collection and services. This law library would later become the State Law Library. 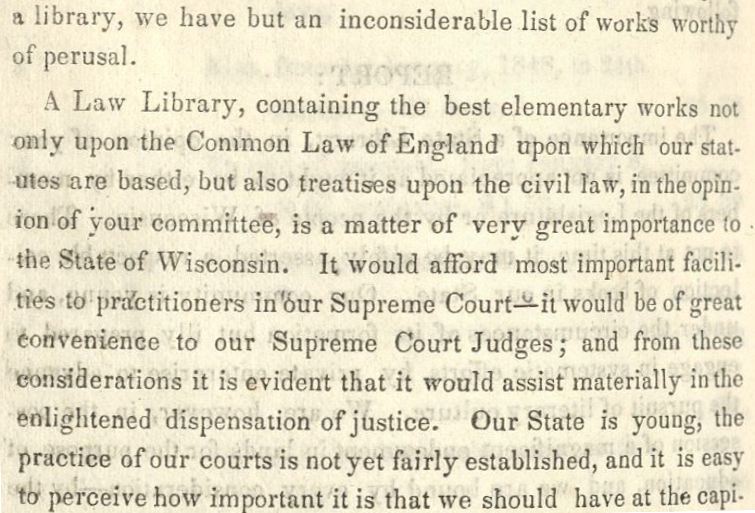 "A Law Library, containing the best elementary works not only upon the Common Law of England upon which our statutes are based, but also treatises upon the civil law, in the opinion of your committee, is a matter of very great importance to the State of Wisconsin. 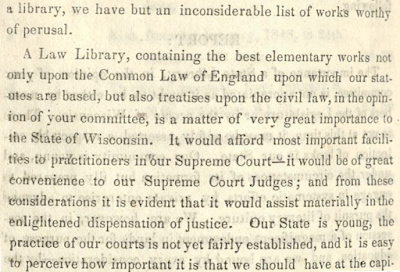 It would afford most important facilities to practitioners in our Supreme Court - it would be of great convenience to our Supreme Court Judges; and from these considerations it is evident that it would assist materially in the enlightened dispensation of justice..."
Our library has Wisconsin Legislative journals in the following formats. Ask a librarian for help! This position is approximately 24 hours a week between the hours of 8:00 AM and 4:30 PM, 8 hour shifts on selected week days. 40 total hours during a two-week pay period. Hourly wage is $14.70/hour. Duties include assisting library users in person and on the phone, processing new materials, filing and shelving library materials, assisting with maintenance of the judges' print collections, and maintaining equipment and supplies. To be considered, submit a cover letter and resume by e-mail clearly stating your qualifications and week days available to Jennifer.Waite@wicourts.gov. Applications will be accepted until the position is filled. No phone calls please. 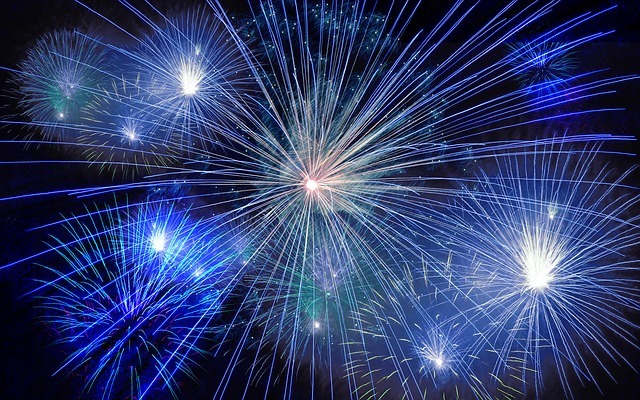 Fifty state surveys of laws are great resources for getting a quick overview of the differences and similarities between state laws on particular topics. 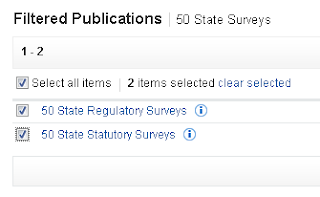 The library has two online resources, as well as print sources, that can be useful for quick fifty state survey research. Browse topics with easy to download, customizable charts and references to state laws and code. Also available in print as Richard Leiter's National Survey of State Laws, this collection is perfectly adapted to online viewing. HeinOnline includes the last three editions, allowing you to compare laws as they existed in 2005, 2008, and 2015. A summary of each topic is available, but a little bit hidden. Look for the "show more" link above the topic's table to read the summary. You can log into HeinOnline with a Wisconsin State Law Library card. 50 State Surveys provides access to state and federal statutes and regulations, covering topics of law such as garnishment, attachment and judgment execution requirements, durable powers of attorney, cancellation and nonrenewal of insurance policies and premiums, and many others. 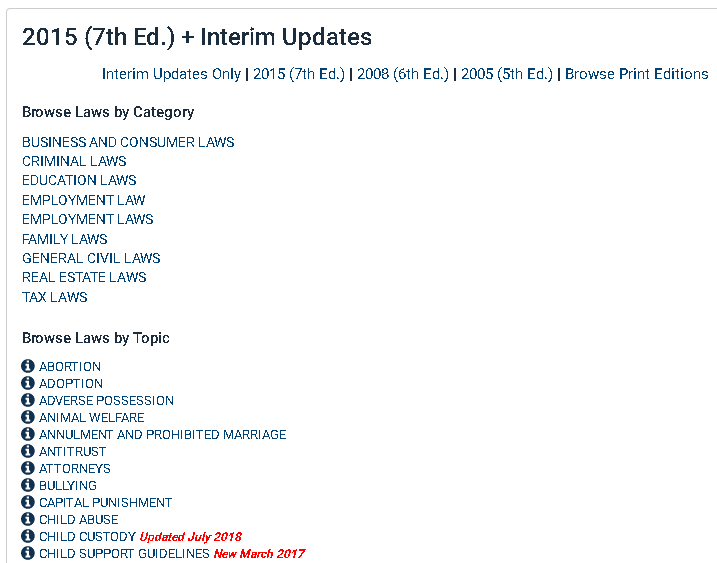 More than just a listing of laws and regulations, Westlaw also includes some summary analysis for several of its topics. Westlaw is available to library users within all of our three libraries. HeinOnline provides quick-to-browse charts of each topic for all 50 states, but there is little customization that can be done, other than filtering states you don't wish to see. 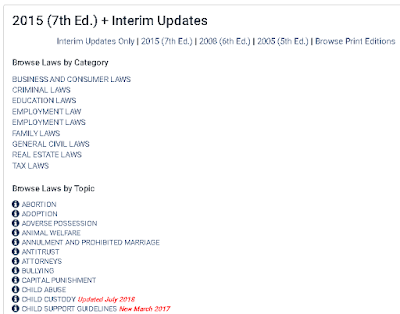 In Westlaw, detailed information is in a table in the PDF version linked at the top of the page. Otherwise the related statutes for each state are linked from the main page, but little summary is provided. 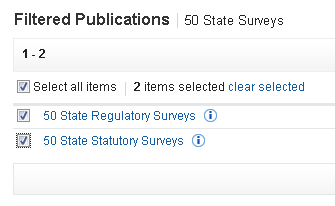 While there is some topical overlap between HeinOnline and Westlaw's 50 state surveys, there are unique topics to both sources so it's a good idea to check both when looking for a survey. Both sources give you the option to browse through topics to see what subtopics are included. Both HeinOnline and Westlaw are keyword searchable. Westlaw is easier to search within broad topic areas, although both have that capability to some extent. Do you need help using these sources? Ask a librarian if you have questions, or if these resources don't cover the topic you're researching. The September issue of WSLL @ Your Service is now online. As always, your comments are welcome. Please direct them to the editor, Carol Hassler. The David T. Prosser Jr. Law Library, Milwaukee County Law Library, and Dane County Law Library will be closed on Monday, September 3 for the Labor Day state holiday. We will respond to questions and requests on Tuesday, September 4. The Wisconsin State Law Library is searching for a Library Assistant-Afternoon, 22.5 hours per week. Qualified applicants must be available to work all hours for Monday through Friday 12:30 p.m. to 5 p.m.
To apply, please submit a cover letter and resume to elspeth.gordon@wicourts.gov which must include your hours available to work. Or send to: Human Resources, 110 East Main Street Suite 430, Madison, WI 53703-3356 or FAX to (608) 261-8293. Failure to follow these procedures may result in your disqualification. The Wisconsin Court System will provide reasonable accommodations to qualified applicants when requested. For additional information on the court system visit our website at www.wicourts.gov. Websites benefit from constant improvement and upgrades. We'd like your help improving our website. The two surveys linked below study how our website is organized. The information we gather will help us make decisions about how best to present information to our website users. The August issue of WSLL @ Your Service is now online. As always, your comments are welcome. Please direct them to the editor, Carol Hassler. HeinOnline is a favorite of many of our cardholders due to its large collection of full text journal articles. To make reading articles online even easier, HeinOnline offers a journal alert service, which will email you every time the journals you select have added a new issue. The emails include a summary of the table of contents of the latest issue added to HeinOnline. Watch HeinOnline's training video (below) for a quick tutorial. You'll need to create your own myHein account in order to get automatic email updates when a new issue has been added to HeinOnline. Creating your own HeinOnline account (which is done AFTER you log in with your library card) is easy! Log in to HeinOnline with your library card (see our tutorial). Make up a username, password, and fill in the rest of your information, including the email address to which you would like alerts sent. 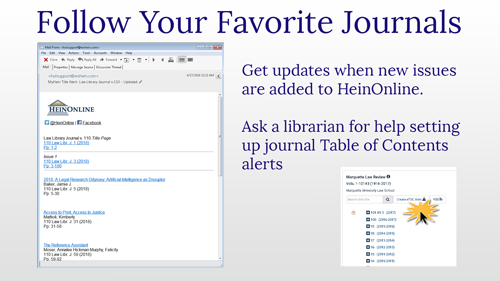 Now that you've created a MyHein account, follow these steps from HeinOnline to create and manage your journal alerts. To manage your MyHein account in the future, first login to HeinOnline using your library card number, then login to your individual MyHein account. Some journal publishers include embargo periods for their publications in HeinOnline. While the journal articles may be indexed (a summary and other information is searchable), the full text won't be available for a set period of time. 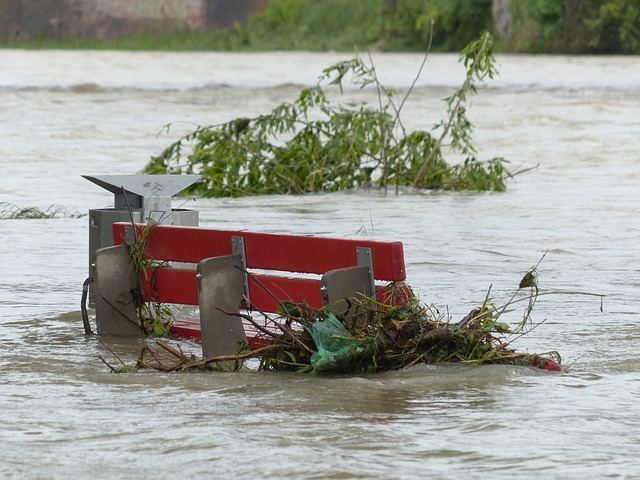 When you are setting up a journal alert, you can check whether there is an embargo period, and how long it is, by checking the information link for the journal. Learn how to check a journal's publishing information in HeinOnline's quick guide. We know that keeping up with the features in research databases can be difficult. Ask a librarian if you need help using HeinOnline, or learning more about the features you can use with a myHein account. The July issue of WSLL @ Your Service is now online. As always, your comments are welcome. Please direct them to the editor, Carol Hassler.